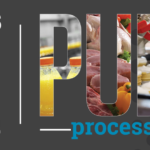 PROCESS EXPO, the global food equipment and technology show,® has announced a renewed partnership with the Food Safety Summit, the largest conference & expo on food safety in North America. 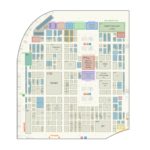 As part of this renewed agreement, the Food Safety Summit experts will develop a food safety track of educational sessions during PROCESS EXPO, October 8-11, 2019 at the McCormick Place Convention Center in Chicago, IL. Sessions will focus on FSMA updates, HACCP training, listeria, traceability, environmental monitoring, food fraud, auditing, food allergen management, pest management, and other important issues for food and beverage processors, packaging professionals, and equipment manufacturers. “The Food Safety Summit is a leading producer of education for food safety professionals and we are thrilled to be working with them again. Our attendees provided great feedback from the 2017 track of food safety courses and we look to the Summit to provide us with leading subject matter experts to help us educate our audience,” said Jarrod McCarroll, Chairman of the Food Processing Suppliers Association (FPSA) and President of Weber, Inc. “Our attendees will have the opportunity to learn critical information on food safety as well as participate in a certification course on HACCP, Preventive Control for Human Food and Preventive Control for Animal Feed.” Complete details and registration will be available on the PROCESS EXPO website in the coming months. The Food Safety Educational Track is sponsored by the Food Safety Summit, a solutions-based conference and expo designed to meet the educational and information needs of the entire food industry. The 2019 Food Safety Summit will be held Monday, May 6 through Thursday, May 9 at the Donald E. Stephens Convention Center, Rosemont, IL. For more information, visit www.foodsafetysummit.com.